This little guy is always full of smiles & his first birthday cake smash was no different, other than this time it was just a little toothy! 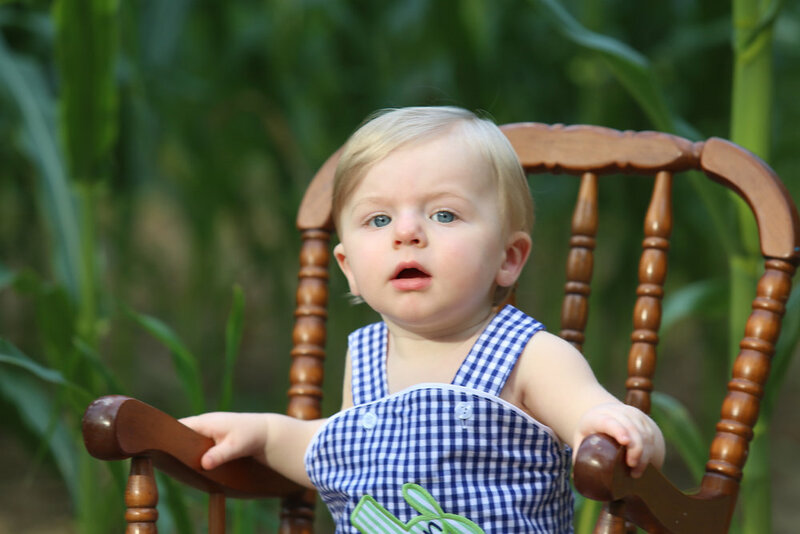 Mom & Dad brought him down to a family corn field for a shoot in his little airplane outfit & then for a cake smash! It was hot. It was humid. It was thundering, but we made the session work before the rain hit. Nathan was a little more interested in tearing corn cobs off the stalk at times, but that is okay! Here are just a few of my favorites from his corn field cake smash!